Swanton Welding would like to congratulate Doug Binkley on another successful IRONMAN race. This past weekend, Doug tackled his longest race yet. A 142.2-mile journey through Chattanooga, Tennessee. This total distance was split between 116 miles on the bike followed by running a full marathon of 26.2 miles. Unfortunately, the swimming leg of the event was cancelled due to heavy rainfall in the area making the Tennessee River unsafe to swim. Doug’s training for this race was more intense than any other race. He was taking on more than twice the distance of previous races and a more challenging terrain. 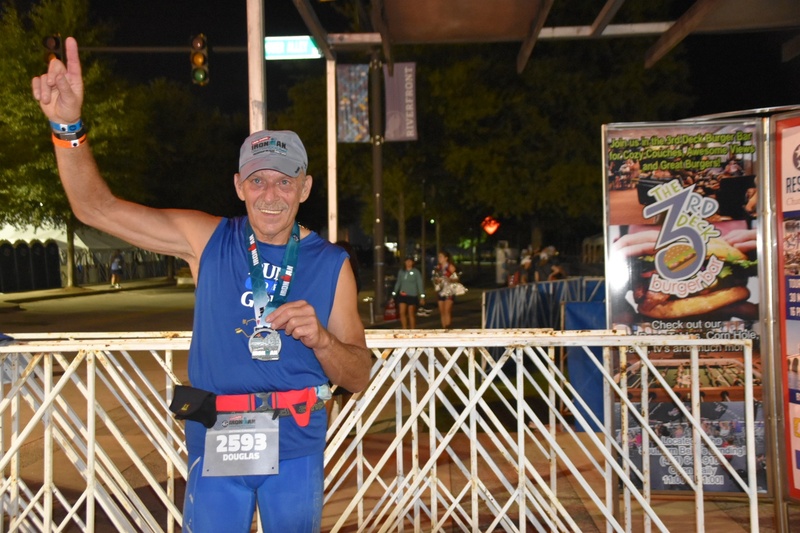 In addition to training six days a week, Doug also made two trips to Chattanooga to become acquainted to the conditions he would experience on race day. All the training and preparation paid off. The course proved to be as challenging as Doug anticipated. The 116-mile bike leg of the took him 11 miles south of Chattanooga before beginning two 47-mile loops in north Georgia. This hilly terrain included 4,808 feet of climbing. Because it was a loop track, Doug had to make some pretty challenging climbs two times. The distances coupled with the hilly terrain resulting in some leg cramps. Doug took proper precautions and stopped several times to stretch out these cramps knowing he had a long distance ahead of him. At about mile six of the run, the leg cramps came back with vengeance and stopped him dead in his tracks. He spent several minutes stretching to keep moving forward. These cramps slowed his pace down from a run to a walk, but Doug was still able to complete the course with 9 minutes to spare before the cutoff. Doug is thankful that God gave him the strength to realize this paramount accomplishment of completing an IRONMAN race in the allotted time. While Doug is very proud of his performance, his original plans of “one and done” have changed. Since the swim portion of the race was cancelled, Doug plans to enter another full IRONMAN race again so he can complete a track with all three disciplines. The Swanton Welding family would like to express how proud we are of Doug’s dedication and accomplishments. Keep racing!